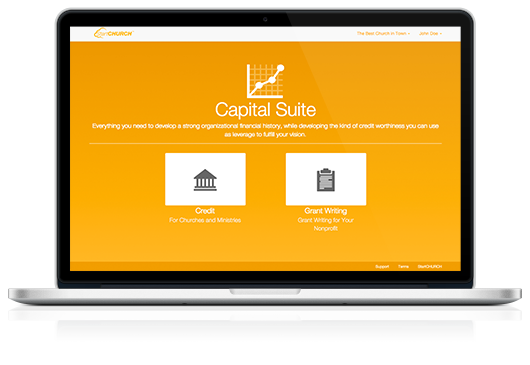 it incredibly simple to put your software to work for you right away. 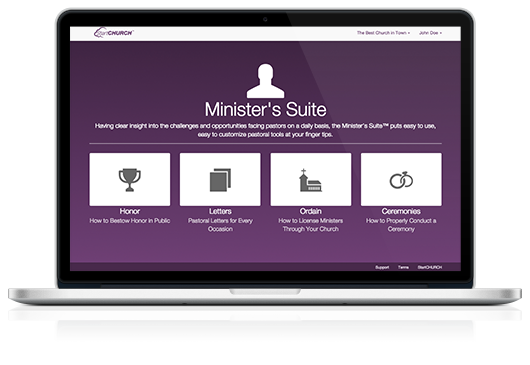 Having clear insight into the challenges and opportunities facing pastors on a daily basis, the Minister’s Suite™ puts easy to use, easy to customize pastoral tools at your finger tips. 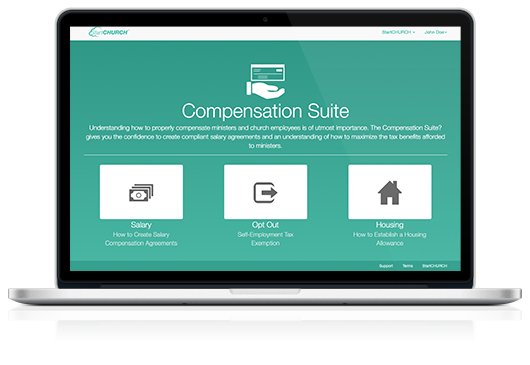 With the Compensation Suite™ tool you will have the power and the understanding of how to maximize the tax benefits afforded to ministers. 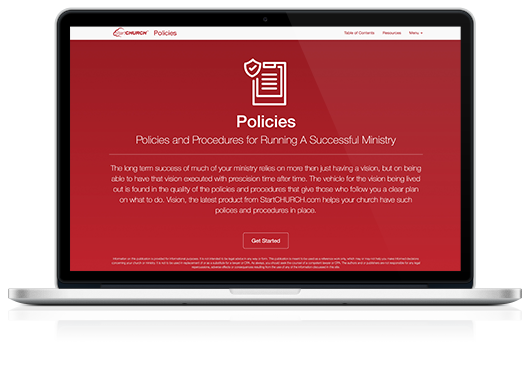 It’s now faster and easier than ever to protect your ministry’s vision by creating, easy, simple to use forms that ensure those doing the ministry are keeping with the ministry’s vision. Secretary's Suite helps you protect and manage your assets through creating an inventory system. Additionally, this suite will help you save money and reach your city through nonprofit mailing. 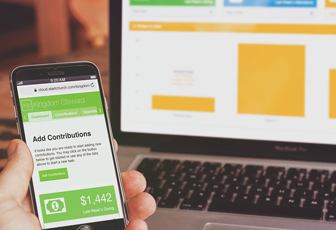 Obtaining 501(c)(3) status is important to the success of your church or ministry, and it does take work. 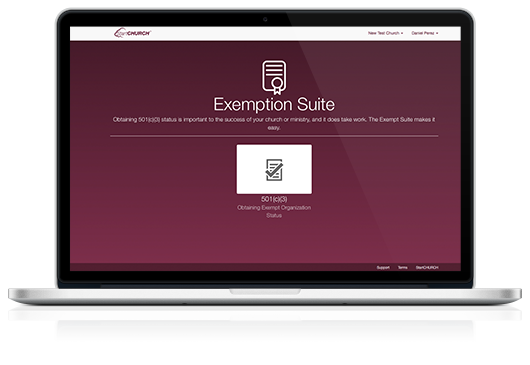 The Exemption Suite makes it easy. Everything you need to develop a strong organizational financial history, while developing the kind of credit worthiness you can use as leverage to fulfill your vision. 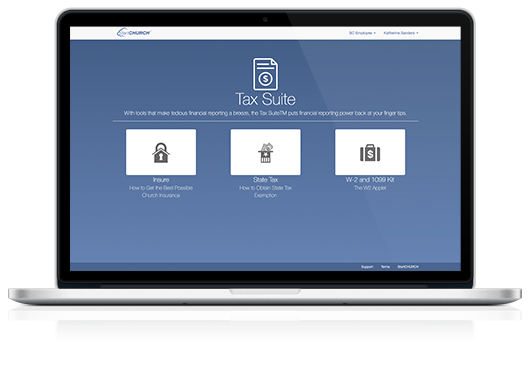 With tools that make tedious financial reporting a breeze, the Tax Suite™ puts financial reporting power back at your finger tips. 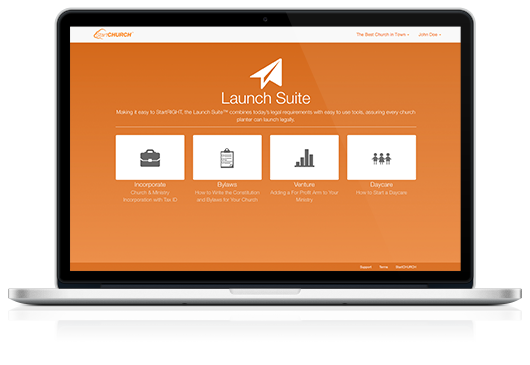 Making it easy to StartRIGHT, the Launch Suite™ combines today’s legal requirements with easy to use tools, assuring every church planter can launch legally. With the Minutes Suite you will have access to everything you need to know about board meetings, including who can serve on a board, how to hold a proper board meeting and how to take minutes. Compliance Suite helps you maintain your scriptural convictions, while ensuring that your church stays informed of the latest laws. 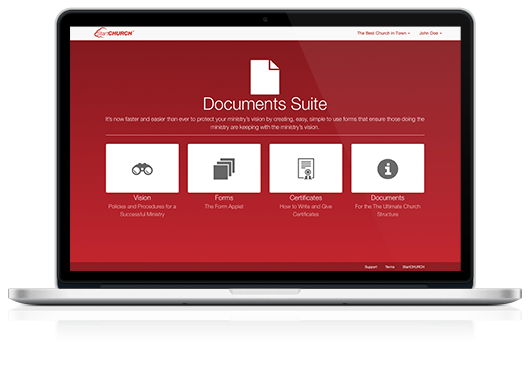 The Policies Suite will serve as a roadmap to protect your vision and help you write your procedures with 55 customizable policies. 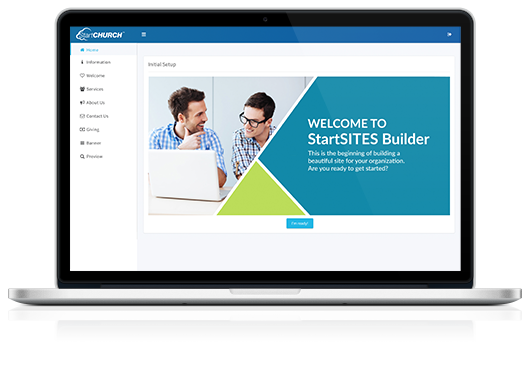 Increase your online giving in less than 1 hour by creating a website through StartSITES. 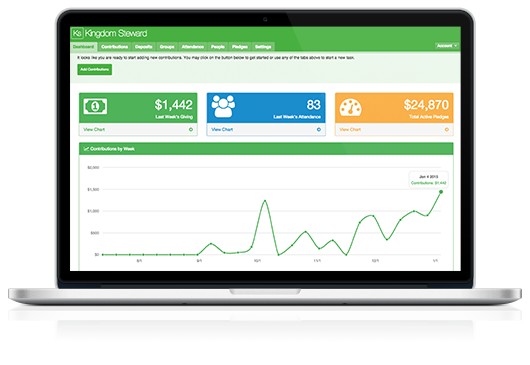 Your fully responsive, church website will be able to recive online donation and help tell your story to the world.